Items in the Work Pool are not scheduled in the Calendar. 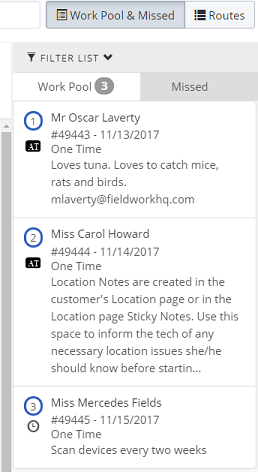 An appointment is added to the Work Pool when you click Add to work pool from the Schedule tab when creating a Work Order. When you save the Work Order, it appears in the Work Pool & Missed tab in the Calendar. Tip The default date setting for the Work Pool is monthly, meaning the search range is the first to the last of the month. As you get closer to the end of the month, your Work Pool will appear to be shrinking. And on the last day of the month it'll be all but gone. 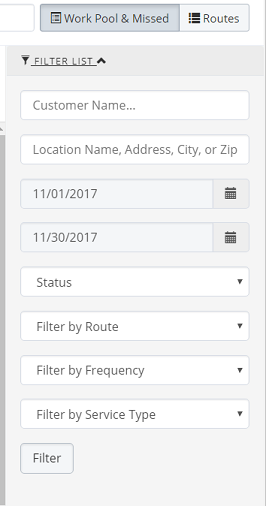 Change your date filter so the end date ends somewhere in the next month.